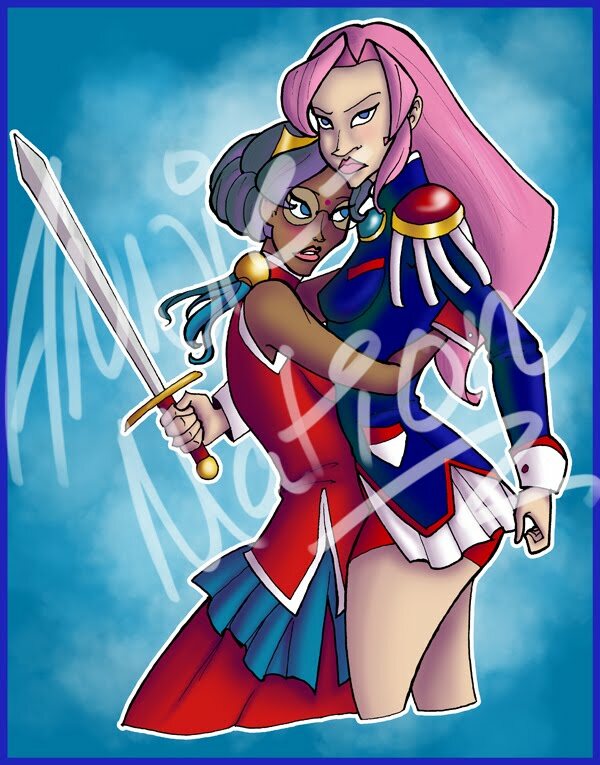 And tada, I finished my Revolutionary Girl Utena commission. I know nothing about the show, but hey, here ya go. Today has been an adventure in computers!! I upgraded to windows seven last night, and my computer patiently waited until Sarah's dad left before throwing in the towel and telling me everything went wrong. I've been on remote assistance since this morning as Sarah's dad tried to restore my profile. And he has! And I am back. Come next week he has more he wants to do to my computer, but this is alright for now.